Thank you Sarasota Magazine 2018 issue! 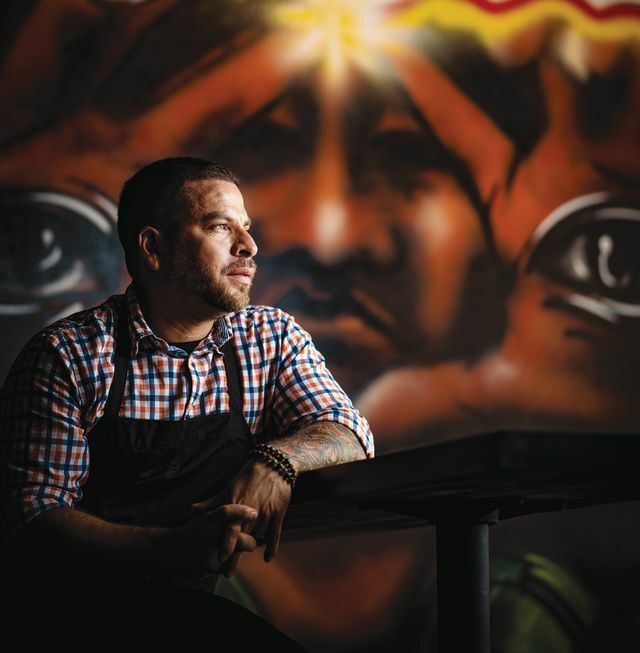 It’s difficult to keep up with chef Darwin Santa Maria. Since leaving Selva in downtown Sarasota a decade ago, he’s thrown himself into a flurry of projects, with a work history extensive enough to generate a LinkedIn profile that will have you scrolling for days. He’s consulted at The Cottage on Siesta Key, opened and closed Darwin’s on 4th in the Rosemary District, helped launch Bradenton’s Darwin Brewing Co. (still in business without Santa Maria) and opened and closed CeviChela on Siesta Key, all while running pop-up dinners at other eateries, working as a private chef and collaborating with breweries on specialty pours. With all that going on, Santa Maria last year opened Darwin Evolutionary Cuisine in a small mid-Sarasota plaza anchored by a Chili’s. The menu reads like a greatest hits compilation drawn from Santa Maria’s history in the food world—an Endless Summer of flavors and techniques the chef has experimented with at past eateries. The citrus-cured fish of his ceviches ($16) and the raw fish of his tiraditos ($16-$18) nod to his Peruvian origins and his role in introducing South American cuisine to Sarasota. The pokes ($14-$17) reference the Pacific flavorings he toyed with at CeviChela, and the heavier entrées ($26-$38), like a whole roasted red snapper, are a callback to the fine dining of Darwin’s on 4th. 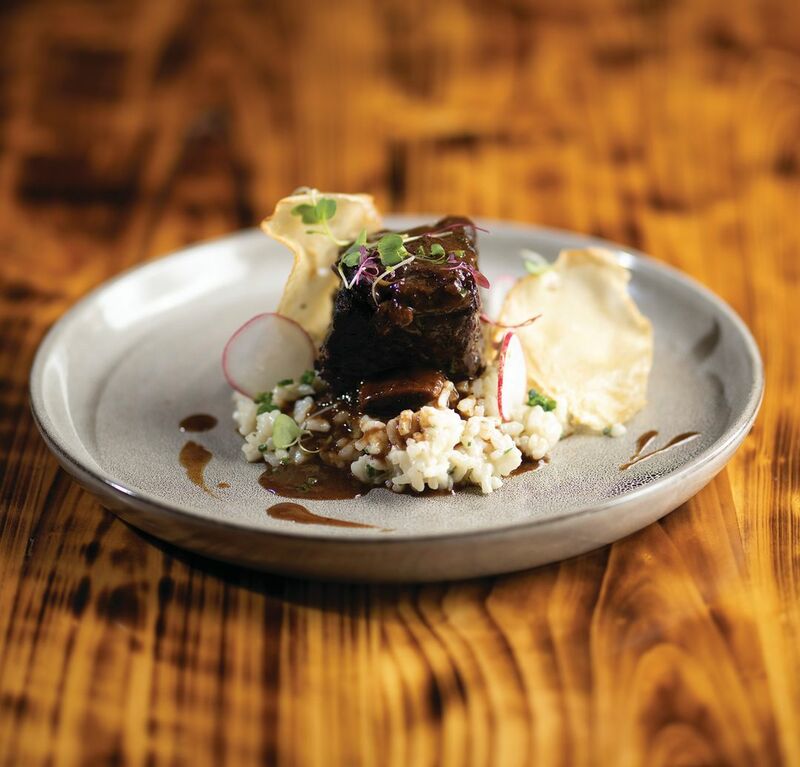 A short rib braised in Malbec served with truffle-flavored risotto. 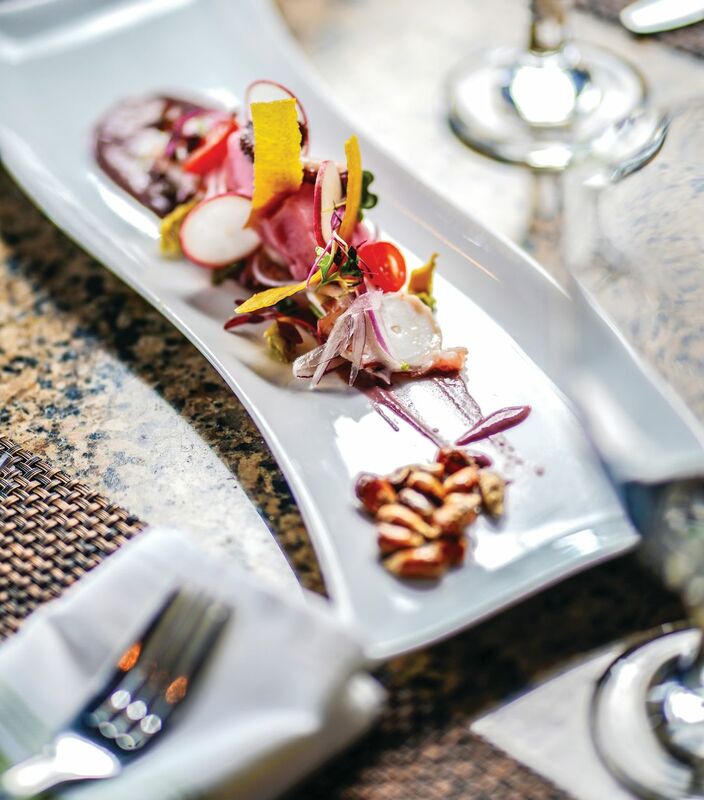 Perhaps Santa Maria’s trademark is the way he plays with contrasting textures on the same plate. In one of his tapas selections, blades of fatty pork belly ($13) are arranged like dominoes atop a strip of sharp kimchi, with addictive globes of crispy mashed green plantains on either end. Even better is his beef heart ($12), marinated with spicy Peruvian peppers and then blistered in the style of a shish kebab. Decorated with a light salsa, the heart nuggets deliver a spicy, acidic blast. Coin-sized rounds of roasted potatoes and corn kernels drenched in a creamy sauce act as a merry counterpoint. Passing around smaller plates among family and friends is the ideal way to eat here. A hefty entrée of short ribs braised in Malbec ($26) and set atop a bed of truffle-scented risotto is satisfying all by itself, but it deprives you of the pleasure of hopping across the rest of the menu. Try a little of this and a little of that and you won’t be disappointed. A single skirt steak taco ($7) is served with both fresh and pickled toppings and a scorching aji amarillo sauce on the side. 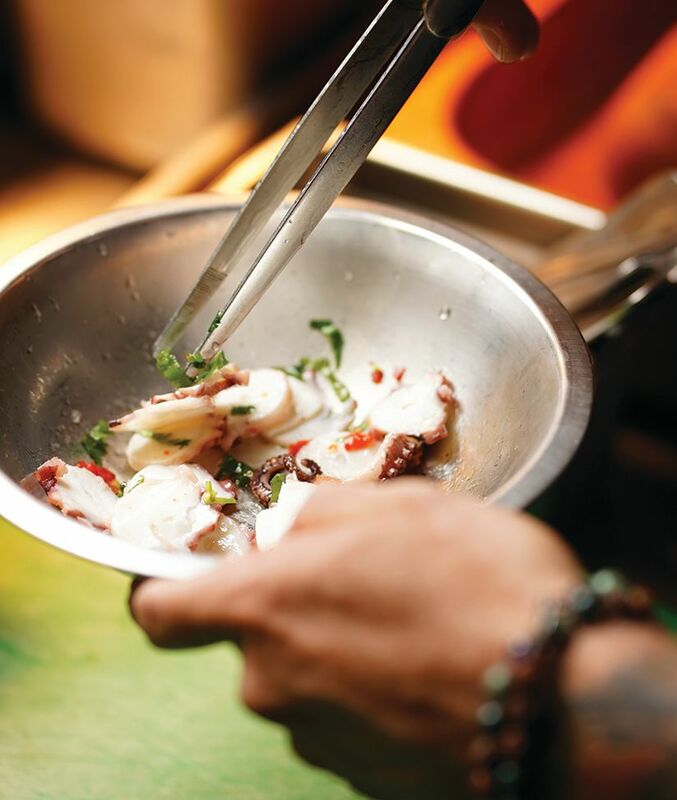 Santa Maria’s octopus poke ($17) works in the upper register of acidity, with an aggressiveness that’s toned down by a canoe-shaped wedge of ripe avocado and an earthy, tapenade-like black olive paste. A plate of tres leches ($9) for dessert is good, but not necessary—notable mostly for the caramelized meringue on top that will bring back memories of roasted marshmallows from long-ago campouts. Is Darwin ready to settle down? “There’s no fate but what we make for ourselves,” goes the famous line from Terminator 2: Judgment Day. Santa Maria says he likes his new home and is already planning a menu overhaul that will feature more vegetables and healthier fare—recipes he’s learned by helping private clients lead cleaner lifestyles. “I’m not a vegan yet,” he laughs. But change is a constant for Santa Maria, and whatever he comes up with next, it will likely taste good.